KUALA LUMPUR: Public universities are crying out for help as they struggle to sustain their operations. Citing significant cuts to their operational budgets as the main source of their current woes, they are pleading against any more slashes to the government’s allocation for public universities in the 2017 Budget, as further cuts would pose a systemic threat to the institutions and their core functions. University heads whom the New Straits Times spoke to, some on record, others choosing to present their case “off-the-record”, said the cuts that they were slapped with last year alone had led to a host of problems, which caused massive adverse cascading effects. Their cases were supported by the Malaysian Academic Associations Congress (MAAC), which said many faculties had seen scores of their researchers abandoning their studies. This, the congress said, was not only because of the tight university budgets currently available to them, but there was also not enough financial incentives for research assistants. 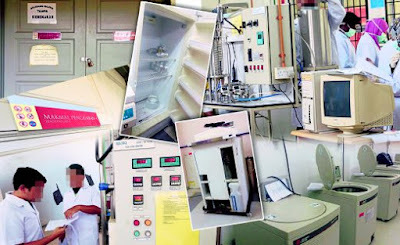 MAAC president Professor Dr Mohd Idrus Mohd Masirin said the escalating cost of materials that universities depended on for their research was also compounding the problem. “With cuts made to the universities’ budgets, some (universities) are even forced to halt entirely their allocations for research. “This leaves students and lecturers with no choice but to abandon research altogether, or struggle to raise the money somehow, if they want to pursue their research. He said in the case of these critical materials, which were often non-reusable, universities had been forced to either grit their teeth and buy them anyway to sustain the quality of its studies, or risk buying them in limited volumes. NST’s checks at several universities to validate their claims that budget cuts had severely affected their teaching and learning process, found that many of these universities were keeping their research laboratories’ activities to a minimum. Several of them are even grappling to make do with obsolete equipment, some dating back almost two decades. Others had been forced to go manual in areas where computers would otherwise serve as a critical learning tool. “When it comes to the practical aspects of teaching, because our own computers are not functioning, we have to tell our students to look up examples on YouTube at home,” a senior member of a university’s engineering faculty said. Vice-chancellors of several universities said that while they understood that times were hard, they asked that the government allow them to adjust their fees. This, they said, was because unlike private universities, they were not able to alter their fees to suit the times, seriously hampering the universities’ room for growth. “The government regulates academic fees, but when allocations to universities are cut, output will be adversely affected. “The impact is also greatly felt by the academicians, who are expected to publish their research papers even when allocations are not coming. “Many are even forced to pay their own expenses for conferences, with each conference costing an average of RM1300. “If the lecturers fail to attend conferences, they will fall short of their Key Performance Indicators (KPI), and this will take a toll on their university’s ranking,” said Idrus. He also brought up the stagnant pay of public university lecturers. “Academicians will do anything expected of them. They will sacrifice their own earnings for the sake of their students and universities. “However, it is unfair to them as their salaries have not been revised in many years, and they are now forced to use their own money to achieve their KPIs. “There are many academicians who have sacrificed their earnings for the sake of their students and university, ” he said. Idrus, who is also a lecturer with Universiti Tun Hussein Onn Malaysia, said many universities were seeing an increasing trend in “research squatting”, because of financial constraints. “This is another problem altogether; the issue of integrity. And we are giving birth to an environment where academicians would resort to ‘squatting’ on research, to meet their KPI. “They are under pressure to meet their KPIs and they do this to increase their number of references and to add weight to their research,” he said. Idrus said as a way to ease the low operational budget problem, a chunk from allocations should be taken out from the universities’ development budgets. “The government can opt to cut allocation’s for development and not the operating budget, which will then allow academicians to attend training courses and conferences and keep their critical activities afloat. Idrus said the government could also consider retaining professors who had passed the retirement age, adding that this was critical as their knowledge was invaluable. “Academia is not like the civil service. The older and more experienced an academician is, the more valuable he is. “There are universities which don’t believe in paying their professor RM25,000, because for the same sum, they could get three new lecturers. But young lecturers, too, want to seek knowledge. “That is why it is important to retain these senior mentors. Universities cannot compromise on their human resource, as there is no substitute for wisdom,” he said.